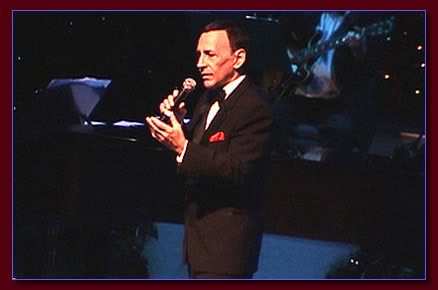 Monty Aidem has performed his Frank Sinatra Tribute at venues including. . .
NEW - Navy Pier, Chicago. NEW - Scottsdale Performing Arts Ctr. venues added all the time. As a writer, an early mentor of mine was a fine writer-producer named Paul Keyes. Paul was one of the creative forces on the original Laugh-In and the Dean Martin Variety Show. 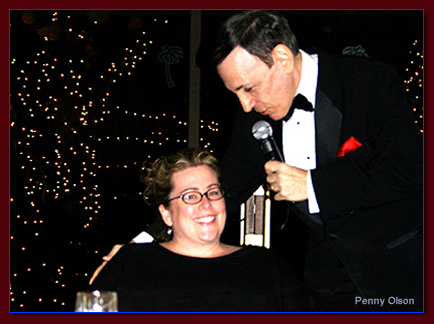 Paul loved and respected Frank Sinatra, and supplied him with comedy material through the years for Las Vegas and many other venues. As a result, there was always a Sinatra connection on Paul's shows. On two TV specials on which I wrote, our Musical Director was Frank's legendary Arranger and Conductor Nelson Riddle. Nancy and Frank Jr. guest-starred on one of the Specials, and on all of Paul's Specials, the Musical Numbers were staged by a wonderful guy whose company I really enjoyed. He had a great sense of humor, he was a fine choreographer, and happened to be Frank's son-in-law and Nancy Sinatra's husband, Hugh Lambert, who passed away in 1985. 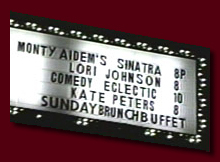 The comedians who opened for Sinatra over the years in Las Vegas, Atlantic City and around the world included Pat Henry, Pat Cooper, Jackie Gayle, Charlie Callas, Corbett Monica, Red Buttons, Rowan & Martin, & Don Rickles. 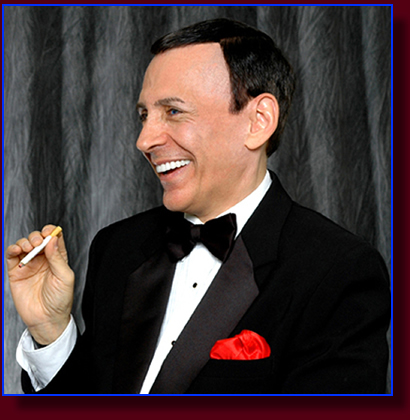 Plus, Rat Pack member Joey Bishop opened for Frank not just during the Las Vegas Rat Pack heyday, but afterwards as well. A more unusual opening act for the Sinatra Show was the Mime-Duo of Shields and Yarnell. And a comedian who did a brief stint as Frank's lead-in was the Emmy winning co-star of Everybody Loves Raymond, Brad Garrett.The longest running opening act, who preceded Sinatra on stage for the final 13 years of Concerts, was comedian Tom Dreesen. Tom also became close with Mr. S., spending a lot of time alone with Frank in Rancho Mirage, and attending the regular Poker game that took place at the Beverly Hills Sinatra residence, where guests often included Jack Lemon, Roger Moore, Angie Dickinson, Gregory Peck and other legendary stars. One of America’s finest comedians, Tom Dreesen continues to perform in Las Vegas, in his home town of Chicago, and all across America. Performing at the Frank Sinatra Estate in Rancho Mirage CA, preserved as it was when the Sinatras lived there, complete with Frank's plush theater room. 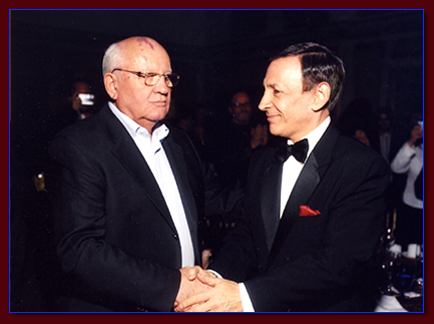 Performing for former Russian President Mikhail Gorbachev at the Ritz Carlton, Pasadena. A Marilyn Monroe Impersonator in "Frank & His Favorite Females"